The National Retail Federation (NRF) has been helping retail thrive and excel for more than a century. In the United States, this industry contributes more than 13% of annual GDP. No other industry approaches its value. Every year, the NRF organizes its long awaited event, the NRF Retail’s Big Show. More than 16,000 retailers, 800 exhibitors and a total of 38,000 participants from 99 countries come together to share the latest innovations that will revolutionize retail. In short, retailers leave this event with several tools ready to be put in place to modernize their stores. This year, with the help of Sherbrooke Innopole as part of the Sherbrooke International Program, Alice POS participated in the 2019 edition of the Big Show from January 13th to 15th. It was a first participation at this great event for the company, and certainly not the last. It was very rewarding and inspiring for the future of Alice POS. Nowadays, retail is no longer focused only on the attraction people have for a product, but rather on the relationship that the brand develops with its customers. Indeed, whether you may be selling paper, televisions or clothing, the ambience you offer your customers during their shopping affects their purchase decision enormously and it is even more important in the digital age! Offering customers an extraordinary shopping experience is a long-term investment, it will keep them coming back. In addition, according to Verde Group, a customer who has a great brand experience is 80% more likely to recommend the brand to their loved ones. So here are 3 ways to develop a good brand experience for your customers. When a customer enters the store, they must feel that their presence is important. Employees must demonstrate an interest in helping them with their shopping so that they receive personalized service. A customer who has only been listened to will already have the impression of a good experience. When a customer takes the time to go to the store, it is often to receive good service as well as expert advice. It is here that product knowledge is essential. These customers want to make the best choice and it is often the lack of knowledge of the different products that makes them undecided about their choice. By giving them your advice and opinions, you save the client time while reassuring them in their decision. Innovating in the way of arranging and presenting your store is a very good way to stand out from your competitors. This will create a strong relationship between the customer and the store. Here are two examples of brands’ experiences at NRF Retail’s Big Show. Casper is a company that stands out in the sleep-health industry. Their concept was very much talked about during the NRF event. Sleep pods were made available for visitors to enjoy the unique experience of relaxation and sleep. Music, lighting and relaxing smells, everything was there to offer the best possible experience to these visitors. The shopping experience encompassed by the event of celebrating excellent sleep. We do not go to Casper to leave with a mattress, but rather to soak up the culture of sleep and test the product. Technology will take care of facilitating the delivery of the goods to your doorstep. You even have six months to return the mattress at no cost if you do not like it. Ubiquitous purchasing security made possible with technology. Each year, Nike comes up with new ideas that do not go under the radar. More and more consumers want personalized shopping experiences. This is what Nike has successfully fulfilled in the creation of its shoe customization workshop. The concept is rather simple, customers purchase a pair of white shoes and customize them to their liking. Paint, glitter and accessories. There was everything for everyone. Sonos is recognized for products offering quality sound. They took advantage of the event to give participants an extraordinary sound experience. 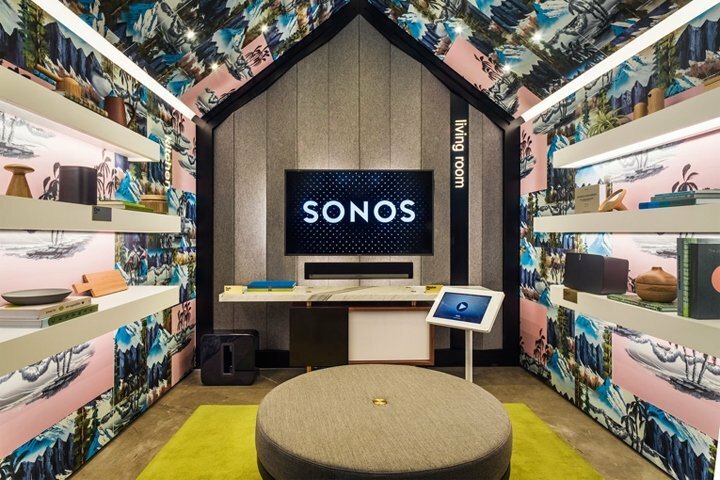 A number of small soundproof rooms were available for visitors to listen to music from Sonos sound systems. The decoration and the lights provided the participants with an unforgettable experience. During NRF, several innovative technologies were presented. These products that optimize business processes and offer ways to analyze several aspects of a store will be essential for marketing experts in a few years. The first tool is a thermal camera that analyzes the presence of customers in the store and produces a heat map. On this map, you can see where the most foot traffic in the store is located. This analysis allows store managers to modify the layout of the store to adapt to customer behavior. Another innovative camera was presented by a European company. Their camera analyzes customers’ facial reactions at any point during their shopping. When they see a particular product, when they see the prices or at checkout, the system will analyze their reactions. In addition to recognizing facial expressions, the system is able to differentiate men from women and determine age groups. It is not necessary to dig far to see all the possibilities that such a system can bring to a company. Another tool allows retailers to get real-time product and service reviews. A few seconds after the purchase, customers are contacted via a chatbot by text message to give their opinion on their experience. According to this company, retailers who deploy their solution receive eight times more information than traditional methods. Another source of relevant information for the marketing department as well as for customer service. These tools open the door to technologies in the retail industry. Marketing will not be able to do without all this valuable data that they can now gather very quickly and in large quantities. 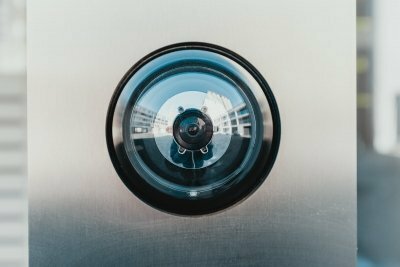 Data analysis makes it possible to better understand the type of customer who visits your store, and especially to understand their behaviors to help you adapt to their needs. At the NRF’s retail show, several technologies caught the attention of Alice POS’s President Charles Beaupré. These strategic partners will add great value to Alice POS software to bring new features to its customers. Integrating these technological innovations to Alice POS will give customers many tools to optimally manage their stores. In addition to revolutionizing store management, the point of sale will also be an irreplaceable asset for the sales and marketing department with customer data collection and analysis capabilities. During these technological events, we are presented with the numerous advantages of having adaptable software. With all these innovations, software must modernize retail, and offer customers countless features. Among these features is digital pricing. In this way, stores will be able to control the prices of all products in one place while avoiding labels. Since Alice POS is designed to manage store networks this feature will save employees a tremendous amount of time in multi-store businesses and reduce the risk of labeling errors. Alice POS has also seen an opportunity to enhance its software with a company offering a scanning application for mobile phones. This application allows store managers to display certain product information on their mobile phone. It can also be useful for customers. For example, in the footwear industry, the consumer can choose their size and by opening the camera. They can receive alerts on all pairs of shoes that are in stock in their size. We can see the need to be rigorous while taking inventory. Alice POS is the ideal solution for this type of integration since its inventory function ensures rigor and fluidity. With this feature, customers will no longer have to ask clerks if a product is available when they want to try on shoes. Learn more about what Alice POS can do for you here. Finally, customer shopping experience seems to take over the product itself. Retail businesses are taking initiatives to keep up with the rapid growth of this type of business. Technologies are also gaining more and more space and those presented above are just a few among a huge amount discovered at the annual NRF event. These novelties for the retail trade will be beneficial for several departments. Analysis of technology-driven data will enable marketing to better target its customers and develop new strategies while the unforgettable customer experience will assist sales departments by creating a strong relationship with customers.